There are so many different ideas when it comes to choosing your wedding décor. 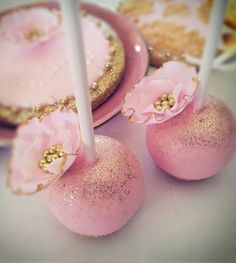 Some guests are teachers and want to center everything around learning and books, some grew up on a horse farm and want to wear cowboy boots to their wedding, some collect vintage china and want to include as part of their decor, and some like casual garden parties that include lawn games and cocktail stations. Lola's Café wants to share 3 wedding themes of 2015 and how to incorporate them in your wedding! First thing first, what are some says that you would incorporate your wedding colors and theme in your wedding? Floral arrangements: Include flowers from your color palate. Cocktail Napkins: Purchase personalized cocktail napkins in your theme color and add something cute like love quotes, name of the couple and wedding date, or fun facts. Dessert: Incorporate some of your desserts in your cake or create a dessert table that flows with your theme. We have had clients who had a lego theme, so they had a tiered Lego wedding cake with different colors. We had one couple that loved Alice and Wonderland, so they had a scene including cupcakes, cakes and other sweet treats for dessert. The first color of 2015 is Marsala. This color seems to be one of the biggest growing trends for this year. Marsala is considered a 'subtly seductive shade that enriches the mind, body and soul.' Marsala is the color of complete confidence and boldness. Now, you may ask how do I incorporate this color into my wedding? Well there are many ideas of ways you can do this and we are going to share some of our favorites with you. Use different red wine bottles in the centerpiece or for décor. Next we want to share one of the most romantic color schemes for weddings: blush pink and gold. You'll see these colors being used a lot with textures such as lace or gold sparkles. Favors can be wrapped in cream and dusty pink tissue paper and tied off with gold ribbon. 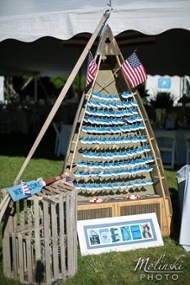 One wedding theme we saw a few years ago that seems to be making a comeback is the nautical theme wedding. This means the navy blue colors, big lanterns, canoes and wooden ores. Guests can sign your canoe ores as a guest book. Or maybe fill out advice on small pieces of paper with advice and well wishes to be placed in a large glass bottle. You can give favors like sand dollars, starfish, or seashells. Have a canoe full of vintage beers and ice – “Grab and Go"
Floral arrangements are classic white for this theme, but there is a lot of room for periwinkle or light orange colors if you are looking to tie in beach with the nautical theme. At Lola's Café, we like to help with all planning aspects of your wedding, but mostly create a menu that will flow with the theme of your wedding. If you are looking for fall theme wedding buffet we would incorporate menu items such as butternut squash ravioli, roasted root vegetables, and grilled chicken with a chipotle pumpkin ale sauce. If you were looking for a home-style rustic comfort we would have mini cheeseburgers with root beer floats, and pan seared potato and cheddar perogies with sour cream, and pan-seared salmon over chickpea and smoked tomato stew with black kale and garlic aioli. Choosing your wedding colors and theme is one of the most exciting parts for your wedding. Some couples want to share an experience through a wedding theme in which explains who they are. Some just really like certain colors or patterns together. Whichever theme, colors, and décor you want for your wedding, we want to help you have exactly what you want on your wedding day!